Recently, we ran a feature on why the gore-splattered and psychotically violent lyrical concerns of Cannibal Corpse aren't something to be feared. You can read it here. Do you agree? Well, if not, perhaps you'd like to change the titles of some of their songs to make them more pleasant? 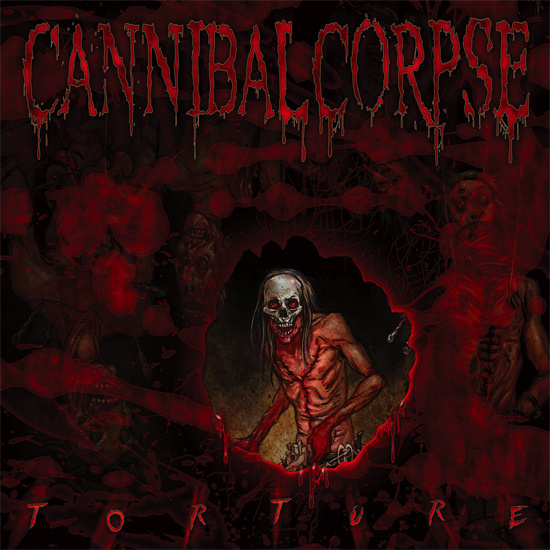 Metal Blade UK have kindly given us a handful of copies of Cannibal Corpse's astounding - and arguably career best - new album Torture. For your chance to win one, all you have to do is to make one of their song titles happy, peaceful, lovely and full of the joys of spring - by altering only one word of one song title. You've got a rich history to pick from - the band's back catalogue is littered with choice cuts like 'Compelled To Lacerate' and 'Sanded Faceless', just waiting for you to change one word and make them wholesome and friendly. For our first attempt, we've turned Torture album track 'Followed Home Then Killed' into the far less sinister 'Followed Home Then Cuddled'. Think you can do better? Then email your entries to comps@thequietus.com - please don't post them in the comments below - before Tuesday April 10th for a chance of winning. The winners will be the best entries, as chosen by metal author extraordinaire and Quietus scribe Joel McIver, and anyone who can best our first attempt above is in with a chance of winning. To read the Quietus Competition terms & conditions, click here.